This is our official picture which will appear on prayer cards in a couple of months. 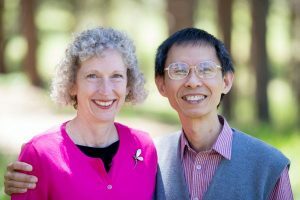 Our service with OMF in Singapore will have Au in mission research and Eunice in training and development. On the home front, we are continuing to downsize our living arrangements, and helping Colleen make plans for the next year in college. We are also seeking God’s timing for us to transition from our current jobs and commitments. Do let us know how we can pray for you!